Start your search by typing in the type of baked/candy products you’re looking for in the search bar below, and you’ll see a list of Treat Makers who make those items. Use any contact method available in their listing to find out more about them. I started Sweet Charlie’s Bakeshop in September of 2017, however I have been baking for as long as I can remember. Sweet Charlie’s is a licensed, at-home bakery where I create everything custom per each individual order. Everything from cupcakes, cake pops, chocolate dipped treats to full dessert and candy tables and even small custom cakes. I can take care of all your treat needs in one place! To see a full range of my work, head over to my Facebook or Instagram pages! A little display of products and presentation. Gourmet marshmallows, cupcakes in jar, homemade peanut butter cups and chocolate dipped strawberries. 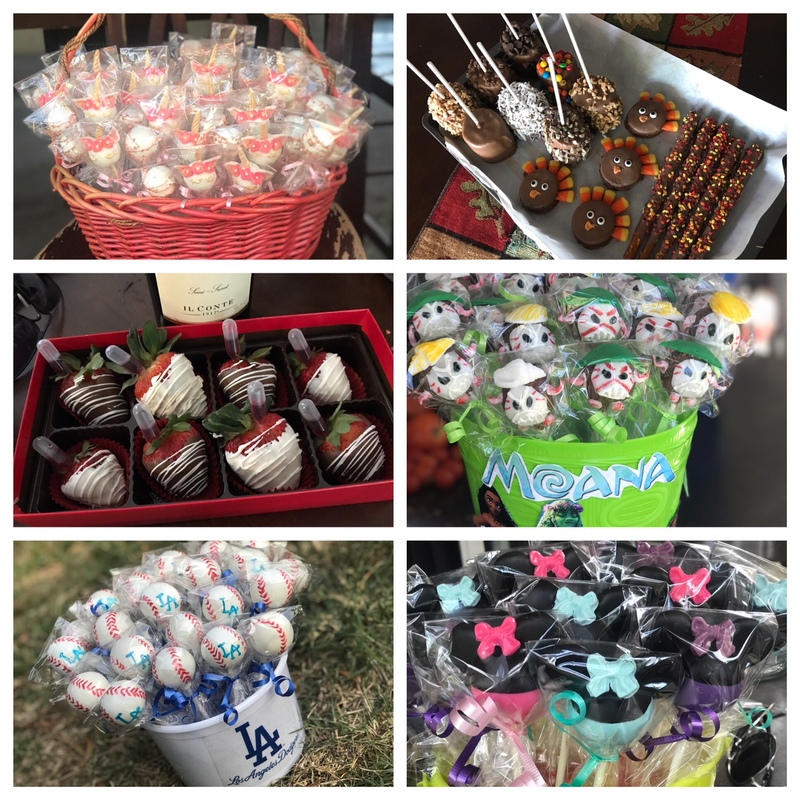 My name is Tiffany I’ve been customizing in cakepops and other goodies for 6 years. I live in Ontario and can deliver to other surrounding areas such as Montclair, Chino, Upland and Rancho Cucamonga. You can also follow me on instagram @sisterssweetdelights or contact me at +1-909-561-0469. I need 1-2 week advance for orders. Suzy’s Sweet Tooth does not endorse or promote any of the people or services on this page. We provide this directory as a service to our customers. You should do your normal research to make sure each treat maker is right for you.